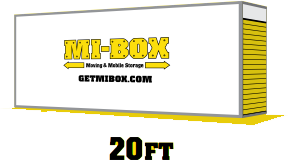 Large, secure, weatherproof storage containers delivered to your door. You won't need to rent a delivery truck. At your own pace, take your time, no time constraints, when it's convenient for you. If you need help loading the container, just let us know and we can arrange for one or two movers to assist you. Free access at our secure facilty or we will deliver it to a location of your choice. Call 603-369-4464 or fill out the form on this page to lock in this limited time offer right now! 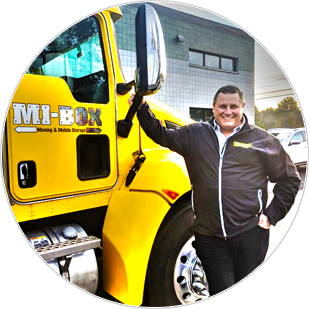 Hi, my name is Wes Kogelman and I'm the owner of MI-BOX in Central and Western New Hampshire. I am from the Granite State and am thrilled to now provide the best possible moving and mobile storage services to my New Hampshire neighbors. My locations are independently owned and operated, so when you call in to our office you'll be speaking with someone locally rather than someone overseas in a large corporate call center. Experience the difference a locally owned and operated moving and storage company can do for you. Give us a call or submit the contact form on this page and let us earn your business. Generally will fit the contents of an apartment or 4-5 rooms of furniture. 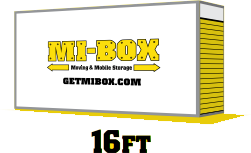 I currently have a box from MI-Box and so far I'm very pleased with the company and Chris who helped me with the order and ken who delivered the box to my home. I would recommend the company..
We have really enjoyed working with Mi Box. Ken has been our contact moving our boxes and has been wonderful. He knows exactly what needs to be done to move the box and is always very professional. If you want the job done right, request Ken. Excellent customer service from start to finish. Ken our delivery driver did both our pick up and drop off for the storage box. Helpful and considerate, I would request Ken again for our driver. Dana and Chris were also very helpful logistically and worked around our moving needs. Thank you all again! 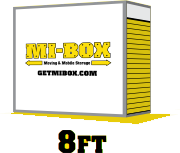 We ordered a MI-Box in July 2018, Ken delivered the box and was professional and even video taped the condition of the box. The box was clean and looked new. We had the box for 4 months and everything was dry! Very happy with Ken and MI-Box for a great experience! Let's Get Started, Call Now!